Some of you may remember hearing the term “Laissez-Faire” in your high school history and economics classes. This French term dates back to the 17th century but became more common in English-speaking countries in the late 18th century. There are many interpretations of its definition. Economically speaking, the term would mean “leave it be,” and encourages little restrictions by the government on economic transactions between private parties, or a “hands-off” approach. 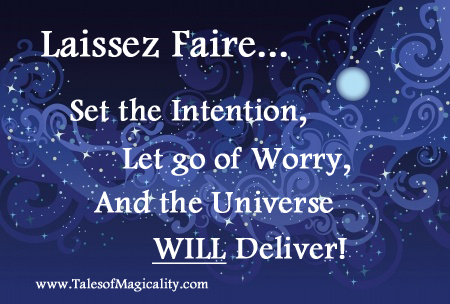 In the Magicality sense, Laissez-Faire means not interfering with the universe; let it do its job, follow the signs it presents to you and it will lead you on the path you are meant to be on. Be detached and objective. Don’t worry about all the possibilities and the “what ifs.” Don’t try to plan things out too much or try to make things happen. 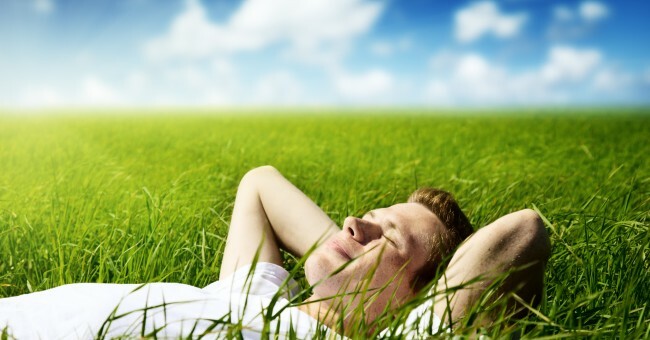 Have faith in this natural system; let go of worry and let the universe figure it out for you! By not getting in the way of the universe, and therefore yourself, you are enabling the incredible power of the universe and human potential to be unleashed! All you need to do is set the intention of what you would like to have, or have happen, and then intervene as little as possible until it is time to act on the opportunities that are presented to you. And, don’t worry, they will come when the time is right, but you must be aware of them! It may be in an unexpected way, because the universe loves to test our intuitive abilities and make sure our senses are tuned into everything around us, but everything we hope will happen, will happen! Follow the signs of Magicality because they will never steer you wrong! Peace, and may Laissez Faire be with you!